A sporadic & inconsistent Overall Story Throughline accounts for this film’s lethargic and unsatisfying narrative. A disappointment. After 2009’s truly remarkable A Separation, the expectations for Asghar Farhardi’s latest dysfunctional family thriller could only lead to a let down. Slow and laborious as it sputters to a start, The Past aims high…and lands low. Two major missteps—an Overall Story Throughline that takes forever to begin and a Main Character who goes missing for a third of the film—contribute to the general dissatisfaction.1 While the film scored a 94% on Rotten Tomatoes, closer examination reveals reviews apologizing for the film’s lack of pace and direction. In the end, The Past paints the portrayal of a screenwriter who started out writing one thing but ended up writing something else. The Overall Story Throughline, that of a woman who committed suicide upon learning of her husband’s affair, doesn’t begin until daughter Lucie (Pauline Burlet) reveals what she knows. This lack of a general “plot” imparts the question within the viewer, What is this story even about? and When is this going to end? The Throughline eventually kicks in, leading to Samir’s investigation into the truth about his comatose wife, and Farhadi masterfully composes the action in such a way that one can’t help but be on edge for something as banal as a stained shirt. Yet, this is the same time the Main Character drops out of the story. Ahmad (Ali Mosaffa), an Iranian man caught between two worlds, returns home to finalize his divorce from his wife Marie (Bérénice Bejo). As Main Character, Ahmad provides our eyes and ears on the story’s events. As one mystery unfolds after the other we journey with him, discovering the tenuous relationship between our ex-wife and her lover’s son. What Ahmad learns, we learn. When he departs the story, so too does our level of empathy. 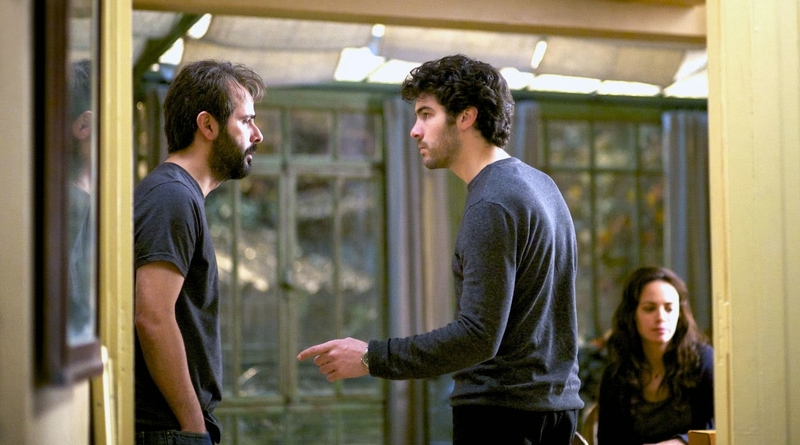 The argument could be made that Ahmad hands-off the Main Character Throughline to Samir (Tahar Rahim): both men find themselves caught between two worlds—an unfortunate circumstance that threatens to tear apart everyone around them. But then who challenges this new vessel for our emotions? Worse, why leave the final culmination in the literal hands of a character we barely know? The Past received several nominations but only won 1/4 of them. A Separation received twice as many nominations and won 3/4 of them. The reason? The latter had at its core a solid and well-structured story, the former struggled to get one started—and when it did, the film took us right out of it.